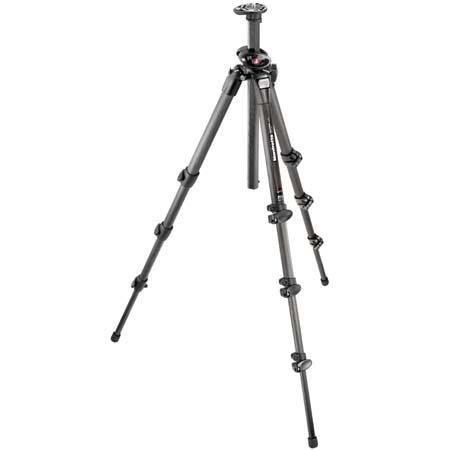 The Manfrotto 4-section 055CXPRO4 tripod combines the best performances of the 055 carbon family with lower dimensions. 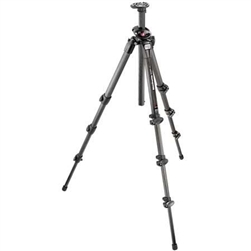 This tripod is compact and light, with the patented Q90° system for quick vertical-horizontal movements. The legs adjustable at four different angles and an integrated leveling bubble is placed on the top plate. 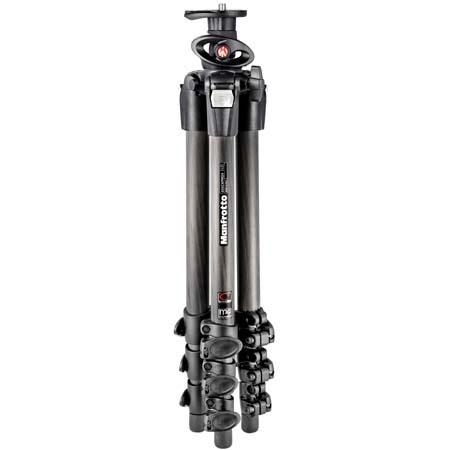 The Manfrotto 055CXPRO4 is commonly used for Home, Landscape/scenery, Long exposures, Night shots, Photography, Portraits, Travel, Wildlife and more.The Manfrotto 055CXPRO4 is most used by customers who consider themselves to be a Photo enthusiast among others.The Manfrotto 055CXPRO4 is popular because customers like the following qualities of the Manfrotto 055CXPRO4: Folds away, Lightweight, Stable and Unfolds quickly. Q90° quick center column system. This model include the patented Q90° system. This ingenious system allows the user to move the central column from vertical to horizontal position in just seconds without having to disassemble the column. This tripod features a newly designed ergonomic leg angle selector. This new angle selector improves the comfort and the precision in use. A leveling bubble is integrated on the magnesium top plate. Top plate designed to maximize lightness and resistance.